I love to give and receive home-made cards. 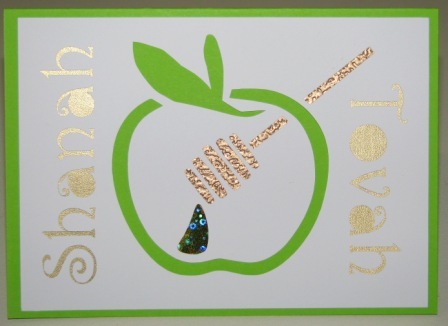 This year my Rosh Hashanah cards are a variation on papercutting – a traditional craft brought into the modern age thanks to the joy of technology. Instead of cutting out designs by hand with a craft knife or scissors, I can send them via my computer to a machine (a Silhouette craft cutter) which accurately cuts the paper with a tiny blade, far quicker and more accurately than I could ever hope to do by hand. After my design was cut out of white paper, I sticky-taped scraps of metallic paper (different colours and textures) behind sections of it (all except the apple outline) then used double sided tape to stick the entire thing on to green card. The honey drop is actually a gold hologram-like paper which is very sparkly! 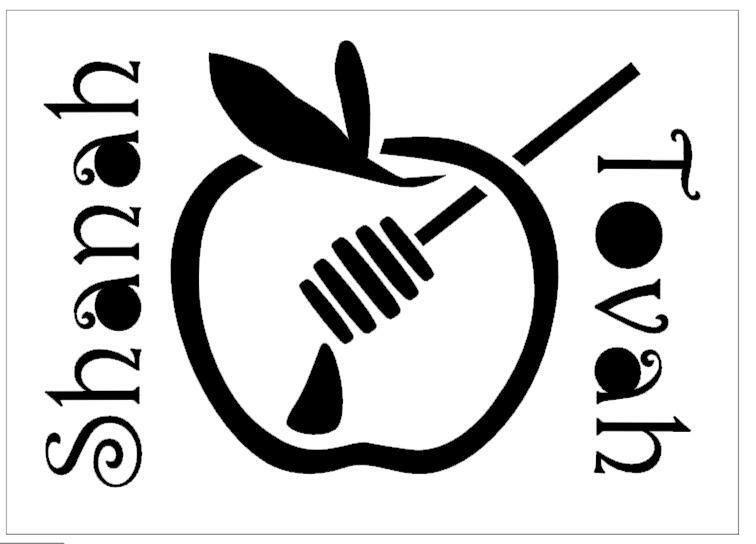 I can’t post the silhouette file, but here is a copy of my design you could trace around to make your own, if, like me, you were searching for Jewish designs for a Silhouette cutter. Here’s to a sweet new year for all of us!